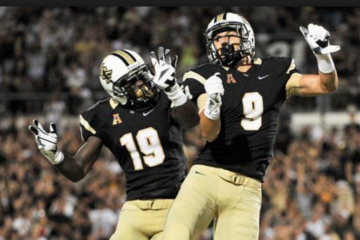 After moving to 8-0 on the season with Saturday’s 31-24 win at SMU, the Central Florida Knights moved closer to the top 10 in both major polls. UCF is ranked in the 12th position in the USA Today Amway Coaches Poll and No. 14 in the Associated Press Top 25. They gained two spots in the Amway poll and one position in the AP. Some felt the Knights would only maintain last week’s position or even fall after an unimpressive victory by this year’s standards. Alabama still maintains a wide lead in both polls, followed by SEC rival Georgia. Wisconsin moved to No. 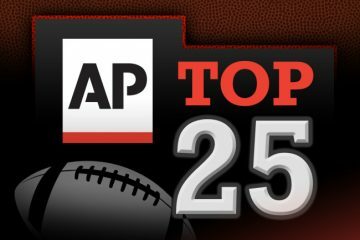 3 in the Amway poll, a spot held by Notre Dame in the AP. Both polls have Clemson in the fourth spot, while Oklahoma is No. 5 in the AP and Notre Dame in the coaches. 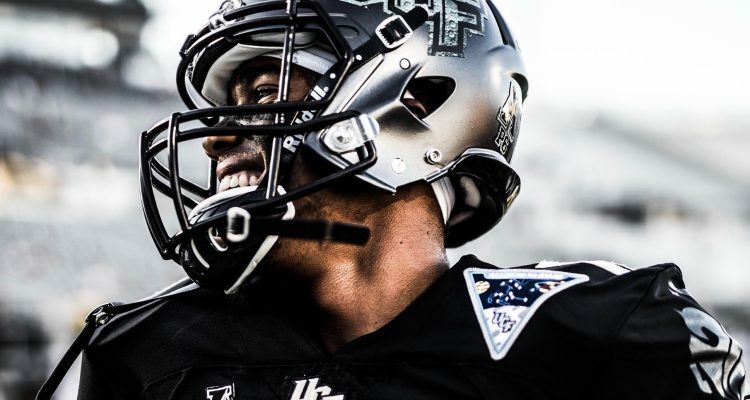 Few, if any, could have predicted that two-thirds of the way through the season, UCF would be ranked higher than many of the country’s elite programs. They are ahead of pre-season top 10 teams Penn State, Southern California, and Michigan, while only slightly trailing Ohio State in the Amway poll. The Knights will be favored in their next two games against Connecticut and Temple, meaning it is possible they could be a top 10 team when they face the USF Bulls on Nov. 24. Miami remains as Florida’s highest-ranked team. After moving to 8-0 with their impressive 28-10 win over then-No. 13 Virginia Tech, the Hurricanes advanced to No. 7 in the AP poll and No. 6 in the Amway. USF is back in the rankings. The 8-1 Bulls came in at No. 22 in the AP poll and No. 21 in the Amway. The third American Athletic Conference team in the rankings is Memphis. The 8-1 Tigers are No. 19 in the Amway poll and No. 20 in the AP. The second weekly rankings for the College Football Playoff will be announced on Tuesday. UCF came in at No. 18 last week.